Poor Bubba Lou found himself in a country pound, he was matted to the skin and in a bad way physically and mentally, we knew that he would need a very kind and gentle family to bring him around and show Bubba that not everyone in the world is mean and unkind as we suspect his previous owners were! 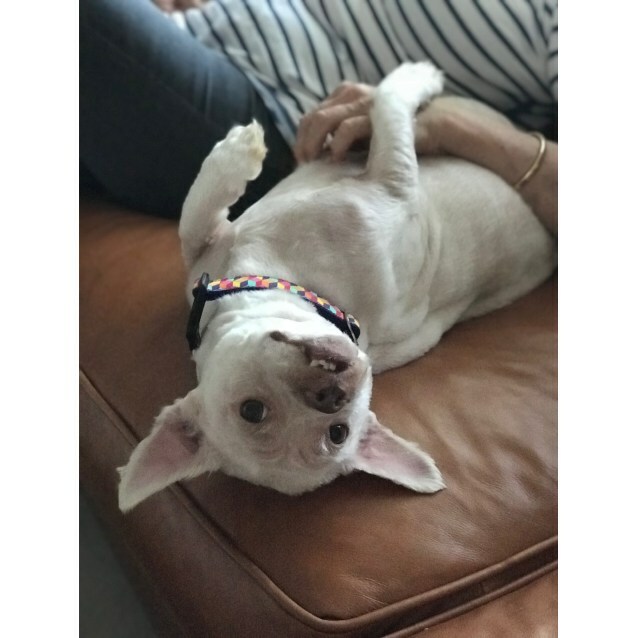 Bubba is responding very well to his foster carer and her boys gentle touch, he is a character with his crooked smile and little teeth that stick out like pegs on a clothesline 🙂 his coat is beginning to grow back and has lovely patches of beige coming through. Bubba is going to be one very handsome boy when he is in full coat again in a month or so. 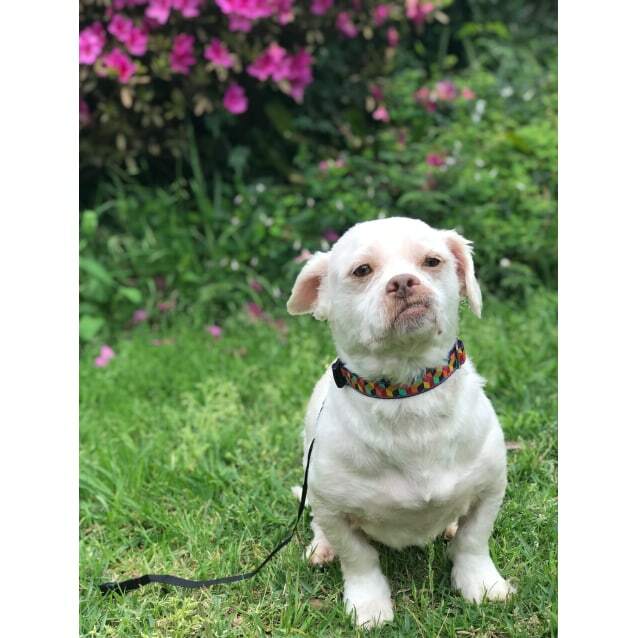 Bubba would like to live with a special family who may have experience with a rescue dog who has probably been poorly treated in the past. He is going to be best with a family who don’t have young children because he can be fearful and will give a growl if he is afraid. Bubba gets along with the dogs in his foster home. He has not been out walking just yet but in time and as his confidence grows we believe that he will come to enjoy a walk. Bubba Lou is a house dog and will require access via a doggie door or similar. His coat will grow and require regular clipping and grooming.